LOWER EAST SIDE — There are plenty of surprises when it comes to James Lee, the principal at P.S. 20 Anne Silver School, one of only two in the city that run a bilingual program in Chinese Mandarin. 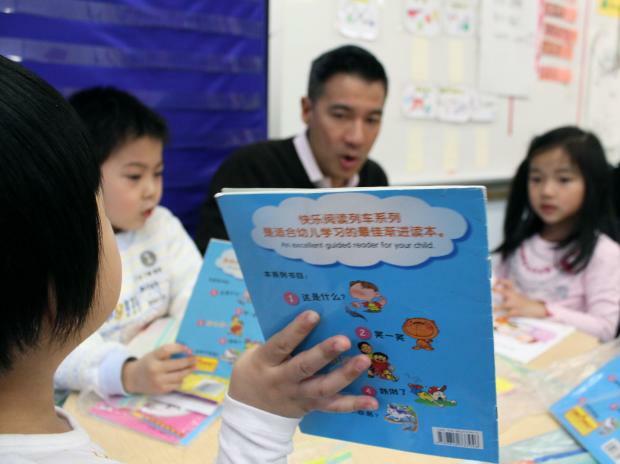 Despite being Chinese-Japanese-American, Lee doesn’t speak the language many of his elementary students are learning, though he is fluent in Spanish. A degree in rhetoric with an emphasis on the persuasiveness of folk tales preceded his master’s in special education. After a year spent soul-searching in Peru, Lee’s science curiosity led him to work for the Prospect Park Audubon for two years before landing in the New York City school system. “I thought to be a good principal I need to gather some skills and experiences you might not be able to gain in the school system,” said the 45-year-old Lower East Side resident and San Francisco native.